Some say the West was won with true grit and six-shooters. Those pardners got it wrong. It was the condenser coil, that nifty bit of technology that extracts heat from the ambient air, refrigerates the cycled air and exhausts the excess heat and resultant water vapor outside somewhere. During these dog days and Kona seasons of summer and fall, there often comes a point when you simply want to take the edge off the heat and humidity. 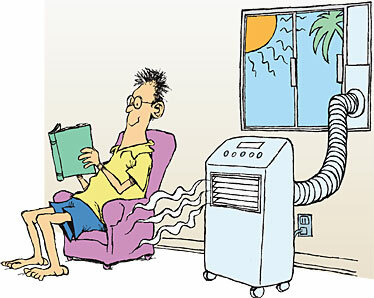 Although this is done either with ventilation or with air-conditioning units - in-window, ductless or central - some folks can't or won't install such units, often because of apartment or condo regulations. The interim solution is a portable air conditioner, a stand-alone appliance that cools air without becoming part of the building infrastructure. The devices are so heavy that most have casters on the bottom so they can be moved, yet they aren't as powerful or efficient as wall units. Still, they generally cost more. "They're good for one room at a time," said Dawn Kanno, of Air Reps, a Honolulu AC contractor. "If you're in an apartment with a residents' convention that prohibits window units, it's about your only choice." Portables also have a far easier setup than a window unit, handy to know if you're not particularly handy. "The only thing that goes out the window is hot air and maybe water vapor," said Kanno. Some portable ACs have two hoses, which is a more efficient design, and generally more expensive. 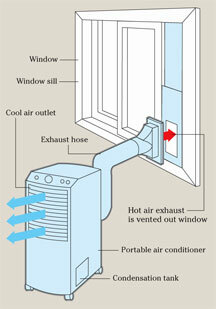 The extra hose uses outside air to cool the condenser coils, which is the way a window unit works. When a unit has just one hose, the coils are cooled by air already cooled by the appliance, and it's then exhausted outside, which isn't very energy-efficient. It also creates a "negative pressure" in the room, according to Kanno, drawing warm air from elsewhere to replace the exhausted air. A portable unit can be used in conjunction with a ceiling fan. "Some people like to feel the air circulating," said Kanno. "But heat rises, and the fan blows it back down." It's not just overheated citizens who are buying portables. 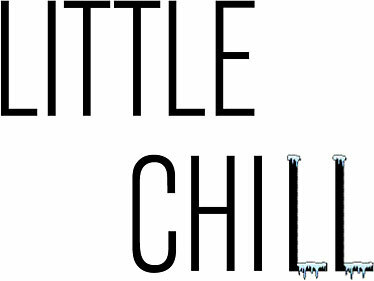 The primary market, actually, is businesses that need additional cooling in their computer network rooms. "We're getting a lot more commercial sales now than residential," said Kanno, and commercial-grade units are also more robust and efficient.